We are not huge fans of “New Years Resolutions” here at CrossFit ÆVITAS. Why? Because we believe that the journey toward self-improvement should be an all-the-time thing, not something dictated by a date on the calendar. However, in the spirit of the season (and for your reference any time you decide to make a goal for yourself), here are some of our tips to achieve the goals you set for yourself. So, how do we make Resolutions (or goals, in general) that we are likely to succeed at? It starts with the type of goals we make, and then is followed by the path we take to achieve them. How To Make Goals – follow the SMART model! Realistic: “I want to improve my back squat by 50 lbs” might be pretty unrealistic. however, 15lbs is a more conservative and therefore more realistic number. Always err on the side of realistic vs ambitious, or you run the risk of becoming overwhelmed and never actually getting anywhere! How To Stick With Your Goals: Plan and Execute! Taking the goal above, you’re probably not going to come in tomorrow and improve your back squat by 15lbs. You’ll have to first break your PR by say 5lb. Since you have a time frame in mind (6 months), maybe you break it up into mini goals of improving by a mere 5 lbs every 6-8 weeks. Sounds more doable now, right? Also, keep in mind the statistic we stated earlier: maintaining a resolution for one week has a much higher success rate than maintaining for 6 or more months (75% vs 46%). 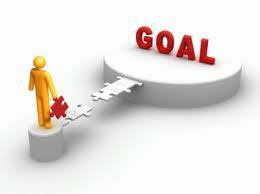 Make smaller mini-goals, and you’re more likely to reach them one by one and be able to move on to the next! If every 6-8 weeks you want to improve your 1RM back squat by 5lbs, you’ll need to make sure that you’re (at the very least) coming into the gym and training on a regular basis. The beauty of CrossFit is that by giving it your all in every WOD (whether we back squat that day or not), you’ll be getting stronger and more capable. Making a plan is first and foremost, and a plan is only as good as its execution. So master both, and you’ve got all you need to be successful with your New Year’s Resolutions, as well as every other goal you set for yourself! ÆVITAS Anniversary Workout – Fight Gone Bad!